The book club meets the first Wednesday of the month in the Cleaves Room at 10:30am for lively and interesting discussions. The Book Club recommends books based on their own reading and then votes on books that garner the most interest. 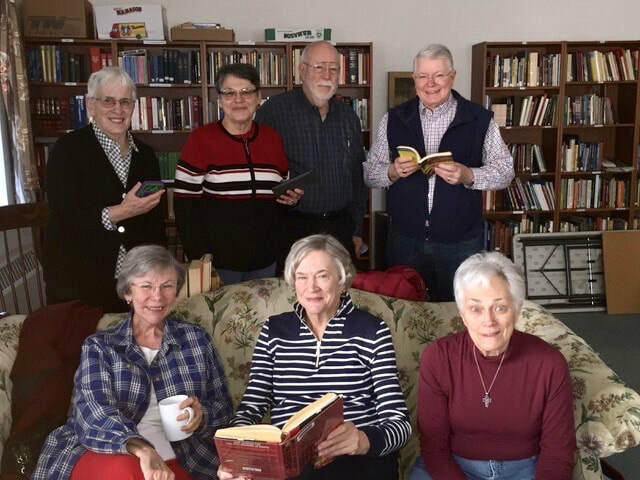 The Book Club reads both fiction and non-fiction, including diverse books on history, religion, sociology and philosophy, and even mysteries. This past year, the Book Club travelled from The Monarchy of Fear: A philosopher Looks at our Political Crisis by Martha Nussbaum, to The Light Between Oceans by M.L. Stedman and on to The Space Between Us by Thrity Umrigar. Please join the Book Club on their travels and explorations, all are welcome!